The Winged Shoe Track Trophy in Colored Resin is a striking way to recognize any track or running accomplishment! 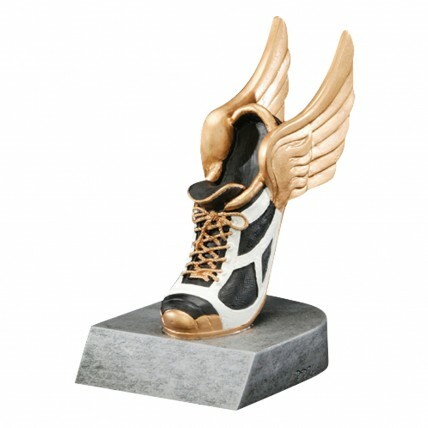 This resin trophy features a black and white winged track shoe with gold accents on a silver base. It has an antique resin finish that depicts a winged running shoe in action. Award is approximately 5 1/4 inches tall.